leaf litter plant | BES Drongos | Follow that monkey! It’s officially been the second year since we have begun this venture and it’s has been a great learning adventure. This semester has been especially wild with the media buzz surrounding the Cross Island Line and all the activities surrounding the March for MacRitchie campaign. With seven exciting walks along the Petai Trail conducted this semester, we had a great time bringing participants along the Petai Trail and talk about the various inhabitants that share our nature reserve. From creepy-crawlies like the ferocious dragonfly to furry critters like the Slender Squirrel, there were much to explore in our nature reserve! Ecological concepts were also explored and explained using funny examples. The leaf litter plant (Agrostistachys indica) or as we like to call it the kiasu plant, is used to explain the concept of an ecological niche. 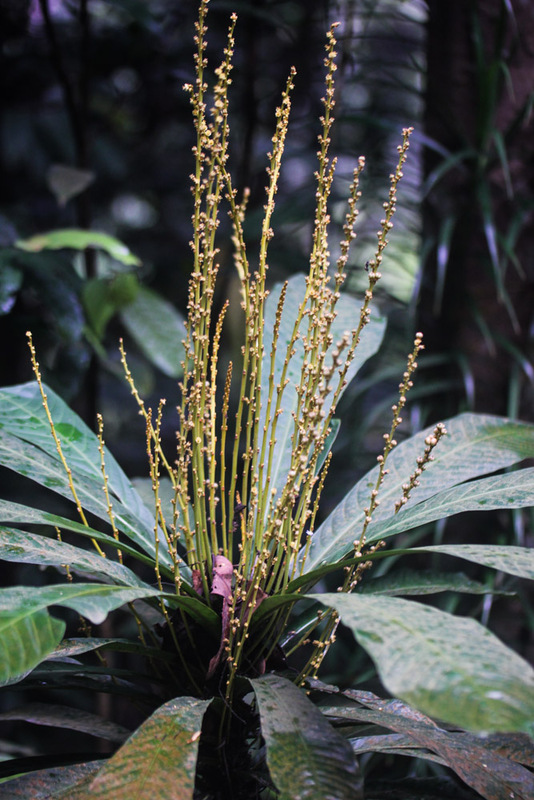 As an understory plant, it uses a different strategy to survive among the towering canopy trees you usually find in our tropical rainforest. Like us Kiasu Singaporeans, this clever little plant has found a way to survive in this competitive environment. It doesn’t just absorb nutrients from the nutrient-poor tropical soil but also from its leaves. How? With its leaves growing in a spiral, it is able to capture the leaves that fall from its taller neighbouring trees. Using the little rootlets growing on the base of its leaves, it can absorb the nutrients directly as these leaves decomposes . Talking about getting the best of both worlds! We also held conservation booths at the NUS campus. Lining up the wooden benches, we managed to display an even larger haul of preserved specimens loaned from the Lee Kong Chian Natural History Museum (Thanks again!). Cool jars filled with specimens hovering in ethanol, we were excited to share more about the species that were difficult to spot in the wild and less common to the public eye. The adorable but nocturnal Lesser Bamboo Bat is a prime example. Being one of the smallest bats, it grows only to about 4cm (the size of your thumb)! Usually found roosting in the hollow core of the bamboo, it’s not exactly the easiest creature to find . Students, intrigued by creatures they don’t usually encounter, were eager to learn more about that flora and fauna we can find in our rainforest. Engaging with more than 250 students over those two days, it was encouraging to see the zest our generation had for nature. We hope that students left with a greater appreciation for our nature reserves and a deeper understanding on the Cross Island Line issue. We would like to thank all the participants who came down for our events and we hope that we have managed to incite some passion for our precious nature reserve! With the Cross Island Line still lingering at the back of the minds of Singaporeans, there have been many interesting articles that rationalise and reason out why we should conserve what’s left of Singapore’s wildlife. (While it can be argued that nature has no need for humans, that’s a story for another day.) Some might argue that we, nature lovers, tend to preach to the converted, those who are already passionate about the environment. So, here is a attempt to reach out to the stereotypical urban dweller who would rather hang out in a cool air-conditioned shopping mall than trek through the Central Catchment Nature Reserve (CCNR). Other than the intrinsic value of nature, what other benefits could be used to appeal to the ever-pragmatic Singaporean masses? What about the ecosystem services that the CCNR provides? As the biggest continuous stretch of forest found in Singapore, it acts as the “green lungs” of our nation among various other valuable services. “In comparison with the entire of Singapore,”you might object, “the CCNR constitutes a mere 4% of Singapore’s total land area. Does the ecosystem services it provides really make a difference to us?” Well, maybe it doesn’t make as much of an effect to the whole of Singapore but it certainly makes a difference for the residents (both animals and humans) who live near or within the CCNR. Well, let’s bring up something that hasn’t really been touched upon: the wonder and awe that nature invokes. The natural environment has inspired humanity for centuries. From arts to architecture, natural wonders are so central to our culture and progress that almost every nation in the world has ideas and creations that reflect our awe of nature. 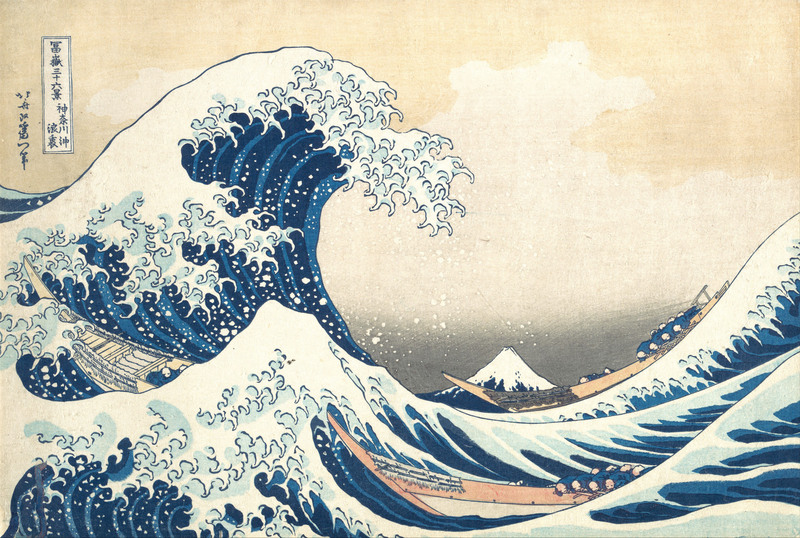 “Wait!” you might protest, “Art and all this airy fairy stuff might be very interesting but that won’t be able to fill our rice bowls.” Well, as the wise Robbie Williams once said, “medicine, law, business, engineering, these are noble pursuits and necessary to sustain life. But poetry, beauty, romance, love, these are what we stay alive for.” But I see your point. To them, I say: industries have been built on nature. The Wright Brothers, who are widely credited for inventing the first aircraft capable of sustained flight and the father of the aviation industry, were inspired by the flight of pigeons . You might remain unconvinced, after all biomimetics (field of study of designs inspired by nature) is a relatively new term. Has there really been that many innovations evoked from nature to justify saving our natural environment? Singapore’s uniform and ubiquitous HDB blocks resemble lego bricks more than they do rainforest trees. But there is a whole plethora of nature-inspired products that can be found all around us. From the tiny pieces of velcro strapping across the white shoes of primary school students to the giant artificial “supertrees” towering over the Gardens by the Bay, there are numerous instances of innovations that have found inspiration from nature. This shouldn’t come as a surprise considering how all of us are successes of millions of years of continual R&D process, better known as evolution. We are all “products” that have been ruthlessly and relentlessly refined and prototyped. What’s this? Another of nature’s product? To honour nature, the most experienced designer of us all, we will be releasing a new Nature and Technology series: Biomimicry, bringing the nature to you “innovations” of the forest. These posts will talk about creations that are inspired by the creatures we can find in our very own little island. Look forward to them! Wang LK, DCJ Yeo, KKP Lim & SKY Lum. (2012) Private Lives: An Expose of Singapore’s Rainforests. Raffles Museum of Biodiversity Research, Singapore. 298 pp. Hey everybody! We are the BES Petai Trail team (name pending) and we are happy to report that our first recce of the petai trail along MacRitchie Reservoir was while wet, was also very fruitful. 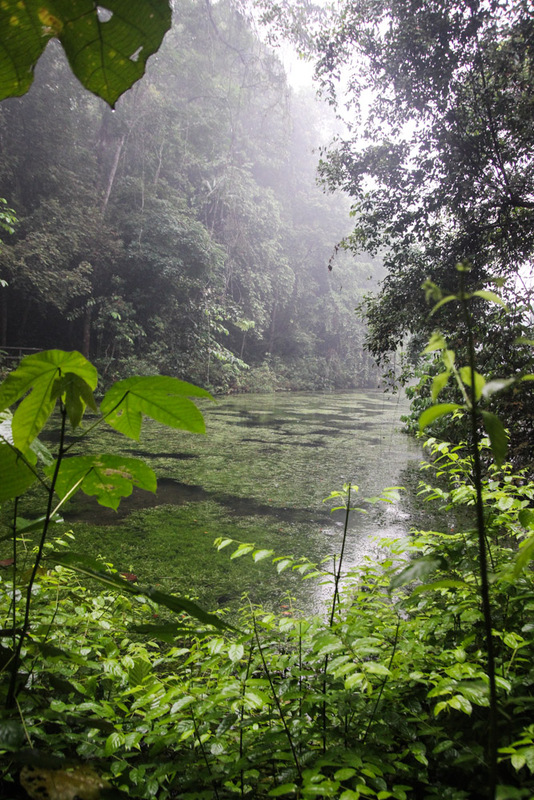 The Petai Trail is a boardwalk that explores an intriguing area of jungle that sits right next to the reservoir itself, and is home to a variety of very interesting plants and animals. The trail itself is located 0.5km from the main MacRitchie reservoir visitor center and is a fairly easy walk. As we are still exploring the area and developing our stories to tell, please enjoy these photos we took on our first trip for now! 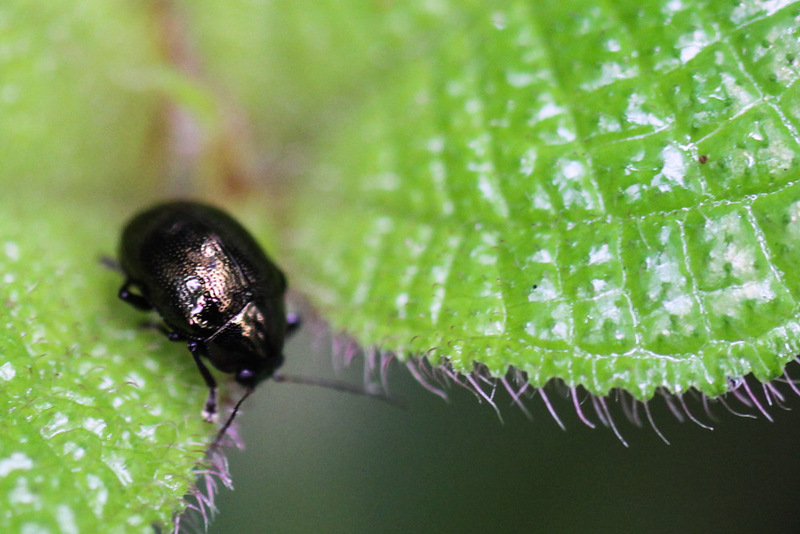 We found quite a few of these shiny beetles (Colasposoma auripenne) hiding among the plants. This particular one is sitting between the leaves of a Hairy Clidemia (Clidemia hirta). 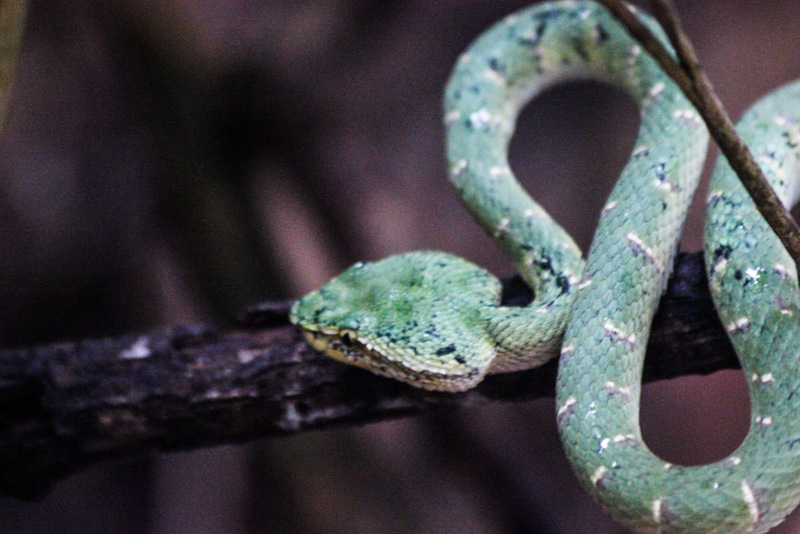 A Wagler’s Pit Viper (Tropidolaemus walgleri) was found curled up in a bush near the boardwalk. These snakes are some of the most common in Southeast Asia and is considered venomous, although this species is generally not very aggressive. However, that does not mean that it is safe to touch; as with all other wildlife, one should always admire snakes from a distance, and not provoke them! 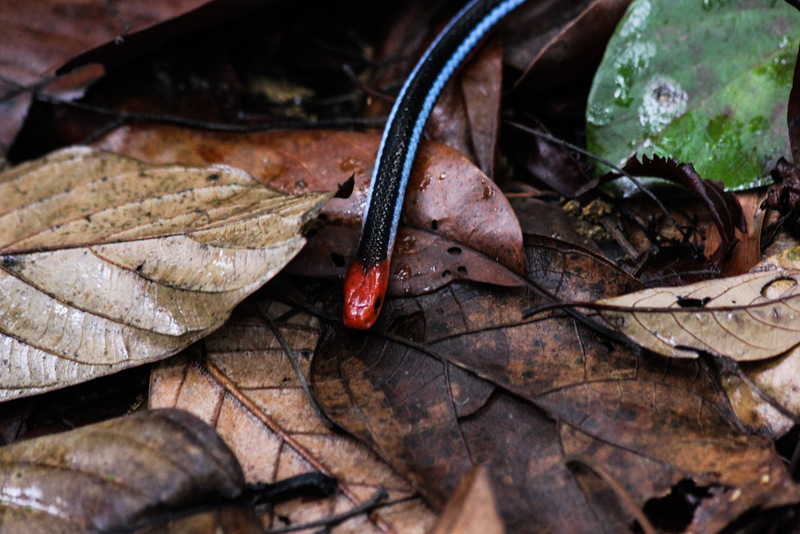 This Blue Malayan Coral Snake (Calliophis Bivergatis) is one of our most venomous local snakes, and has been known to eat other snakes as well! Don’t worry though, staying on the boardwalk means that the snakes was largely unhindered by our presence, and simply slithered away without even bothering to take a second look at us. This Many-Lined Sun Skink (Eutropis multifasciata) was pretty well camouflaged in the leaf litter. 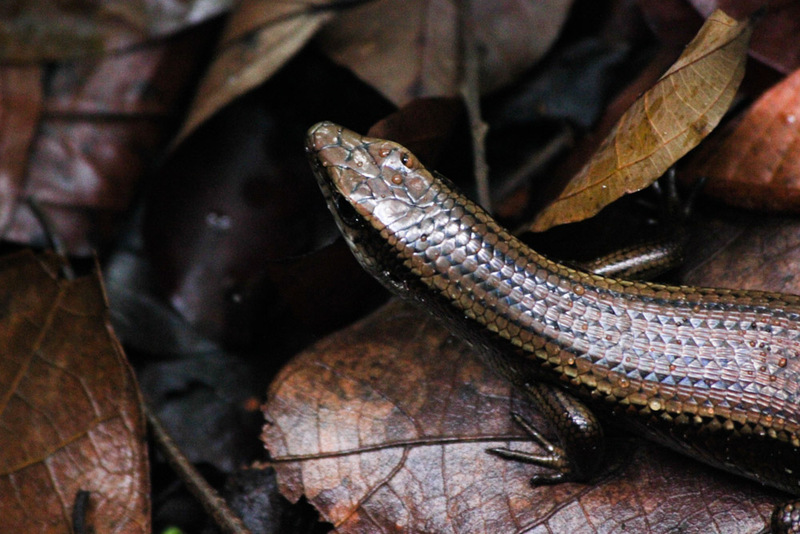 These skinks are quite common in many parts of Singapore, and can be found in both primary and secondary forest and can sometimes be found in parks. The lovely view of the reservoir from the trail! The recent spate of rain has resulted in quite a few mushrooms popping up all over the place and can be found on a variety of things, from rotting logs to dead leaves. 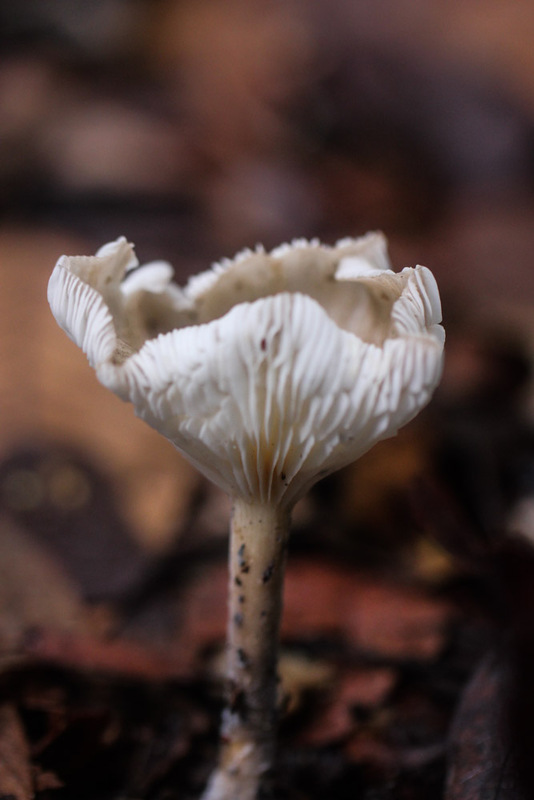 We are not too sure what kind of mushroom this is, but it sure has some nice gill ridges. 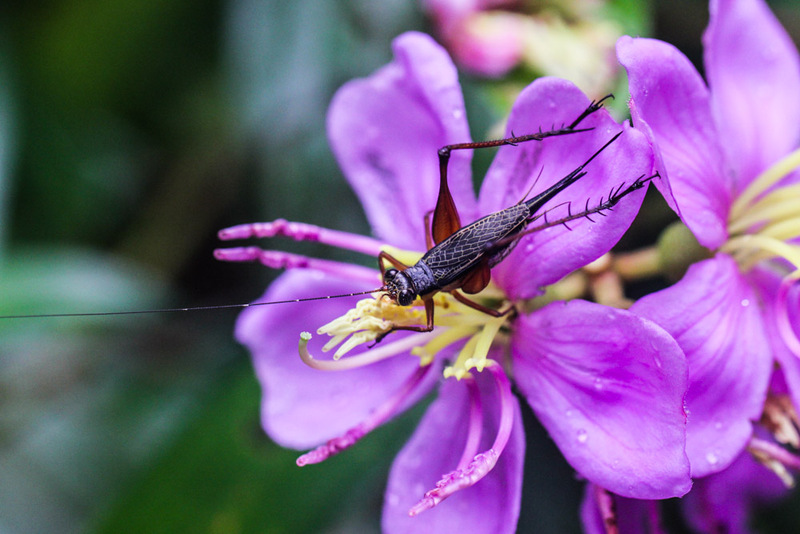 This fabulous unidentified cricket is posing on a Singapore Rhodendron (Melastoma malabathricum), which is also commonly known as Sendudok. This plant is considered medicinal by a variety of cultures across Southeast Asia, but is often called a noxious weed in the US. The Leaf Litter Plant (Agrostistachys longifolia) is an understory plant with leaves that grow in a spiral, that tends to catch fallen leaves, thus earning itself such an odd name. The plant directly absorbs nutrients from the decomposing leaves trapped in its own leaf spiral, enabling it to grow quickly in the undergrowth. Well, that’s all for now. Look out for our next misadventure soon, featuring the Toddycats as we do our second recce of the trail!